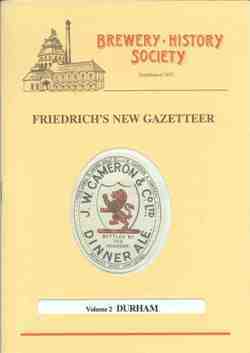 Friederich's New Gazetteer is an essential starting point for anyone researching the breweries of Great Britain. Size A5 with around 28 pages in each volume, colour and black & white illustrations. Each volume includes an essay on the history of brewing in the county by an acknowledged expert. Or email books@breweryhistory.com for further information.